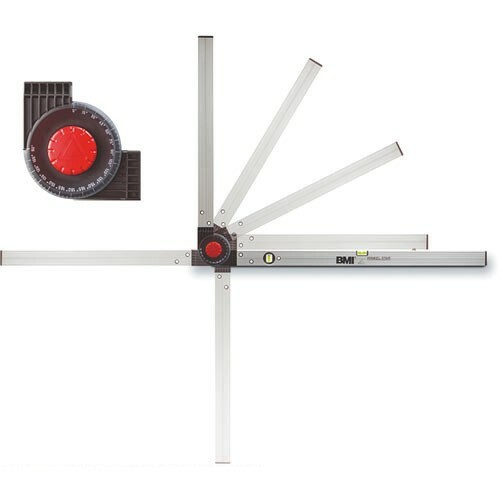 Robust fold-able builders angle level for variable transfer or taking of angles of 0 Degree's to 270 Degree's. With built-in vials it can also be used as a spirit level. Robust joint made of high quality almost unbreakable plastic materials, degree scale. Angles can be fixed in 15 Degree's increments using the lockable joint. Short leg is 60cm, long leg is 80cm. Click the button below to add the BMI ANGLESTAR Adjustable Builders Level (Short Leg 60cm - Long Leg 80cm) 715-060-080 to your wish list.